Louis - MO - 5/13/2017. 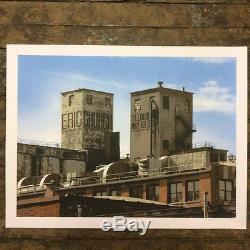 Item is signed by artist who made the print not Erich Church. The item "Eric Church 5/13/2017 Poster St. Louis MO Signed & Numbered #/150" is in sale since Tuesday, October 10, 2017. This item is in the category "Entertainment Memorabilia\Music Memorabilia\Rock & Pop\Artists D\Dave Matthews Band". The seller is "greggq" and is located in San Jose, California. This item can be shipped to United States, Canada, United Kingdom, Denmark, Romania, Slovakia, Bulgaria, Czech republic, Finland, Hungary, Latvia, Lithuania, Malta, Estonia, Australia, Greece, Portugal, Cyprus, Slovenia, Japan, China, Sweden, South Korea, Indonesia, Taiwan, South africa, Thailand, Belgium, France, Hong Kong, Ireland, Netherlands, Poland, Spain, Italy, Germany, Austria, Bahamas, Israel, Mexico, New Zealand, Philippines, Singapore, Switzerland, Norway, Saudi arabia, United arab emirates, Qatar, Kuwait, Bahrain, Croatia, Malaysia, Brazil, Chile, Colombia, Costa rica, Dominican republic, Panama, Trinidad and tobago, Guatemala, El salvador, Honduras, Jamaica, Viet nam, Uruguay.